The spending of public tax dollars by Orlando City Commissioners was under scrutiny again as WFTV Channel 9 News investigated credit card spending on food, events and travel. The controversial spending has been going on for years, even irking some on the City Council to call out their fellow Commissioners during a discussion last year on budgets. Since then, the spending has not slowed down. “City commissioners have spent a total of $70,000 just on credit cards that residents pay for, but more than half of that amount was spent by Commissioner Sam Ings,” WFTV Investigative Reporter Daralene Jones reported. 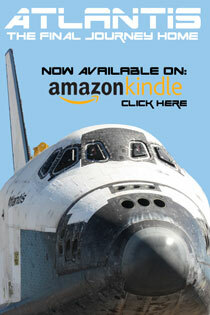 I was featured in the WFTV reported, providing commentary and analysis on the latest findings. “This unacceptable spending behavior continues to go unchecked by (Orlando Mayor Buddy Dyer) and city council,” Cantone said. Commissioner Ings’ spending habits are nothing new though, as he typically outspends all of his fellow Commissioners. He and Commissioner Regina Hill have been the worst offenders when it comes to spending public tax dollars on themselves. Ings was even attacked in his last re-election campaign for his excessive spending, but with the low voter turnout and participation Ings was apparently not worried about being called out. In September, I investigated all Orlando City Commissioner spending using their taxpayer-funded expense accounts. 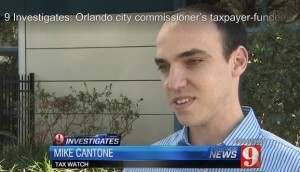 Check out how Orlando Commissioners are spending your tax dollars by clicking here. During a heated City Council discussion last year, Commissioners Jim Gray, Tony Ortiz and Robert Stuart called out the spending by Ings and Hill. “It’s your job as a leader to keep yourself within that budget and if you can’t then you need to explain why and make an adjustment,” Gray said at the time. Mayor Buddy Dyer disagreed and was the tie-breaking vote to increase City Commissioner expense account budgets to $125,000 per year each. With Ings and Hill being the worst offenders in terms of their spending, could this be one way Mayor Dyer is controlling or “earning” their votes on controversial issues impacting their districts? Serious questions remain as the controversial behavior continues with the blessing of Mayor Dyer. How do you feel about the controversial spending by City Commissioners using taxpayer-funded credit cards?